Mary and Martha. Both known by Jesus. Both loved by Him. But both oh so different in their ability to receive that security of relationship. Mary, always at the feet of Jesus. Never concerned about social expectations. She knew what Jesus thought of her and that was all that mattered. She was loved by the only one whose love brought life to dead bones. She had seen His love do just that for her brother. She had felt the beat of her own heart change when she met Jesus. There was no need to measure her life against anyone else's. No one else's standard mattered now. She was with Jesus. Martha, always measuring, against culture, against her sister, against reason. Jerrell Altic, a passionate man of God who is on staff at Houston's First Baptist has this to say about her, "Martha thought she had value because she was productive. Jesus wanted her to see that she had value because she was with Him." Martha turned herself in to victim. No one recognized her hard work. No one applauded her ability to host such a wonderful dinner party, keep her house in such pristine order, have such firm knowledge of God's Word. Jesus was laughing and sharing stories with Mary and Martha was hard at work. But, no one gave her a gold star. She missed it. We miss it. We play the victim. "I have been gifted to do XYZ, but no one will acknowledge it." "I have done nothing but serve serve serve, and no one takes a moment to thank me." "Everyone wants me to listen to their problems but no one stops to think I have my own." We speak these circumstances as though they are the truest reality. And being our truest reality, we attach meaning to them. That meaning? "No one thinks I'm valuable." And that in turns becomes our foundation for proving our value, or instead, for accepting our fate as worthless. No, friend. Do not receive that. You have been gifted and called. But, you must stop looking for your value in how often or well you walk in that calling. You must stop measuring your productivity against that of others. You must stop spending your best energy on finding approval through your deeds. Spend your best energy on enjoying Christ. 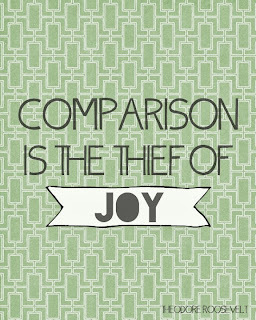 Your value is not in your list of accomplishments, even in those done in the name of Christ. Your value, my value, is in being known by Him, being in relationship with the Creator, being loved by the one who had every reason to turn away from you. He is the one who brings the dead to life. Watch Him work. Get your hands dirty along with Him, yes. Unwrap grave clothes from the once-dead. Open your home to the masses and get the kitchen dirty with flour and diced veggies and chocolate chip cookie dough for the hungry. But all the while, rest. Rest in knowing you are with Jesus. No one else's standard matters...not even your own. It only matters that you are with Jesus...the one who has loved you from the start, before you could lift a finger to earn His affection. 1. Have you been stuck in a cycle of measuring? 2. 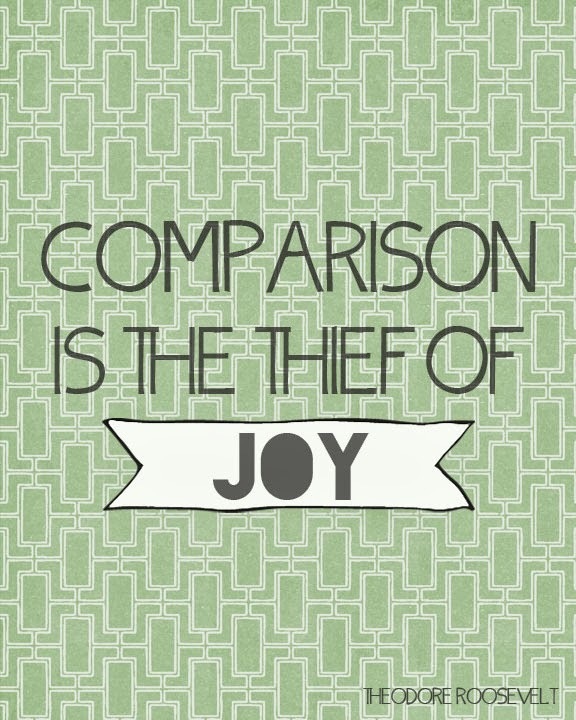 Have you allowed comparison to steal joy? What areas specifically do you normally find joy in that you have begun to dread as you measure against wrong standards? 3. When was the last time you just sat at Jesus feet? What will it take to get you back to that place?